Have you ever seen three kids casually sitting in the boot of a luxury sedan in a developed country? 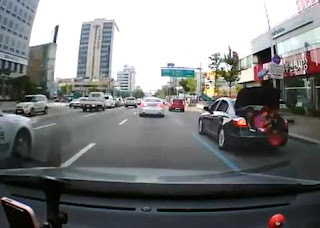 Filmed in South Korea, the driver of the Hyundai Genesis obviously didn't want the kids ruining the interior of his car, and from what we can see, the car is virtually free from passengers. Jump after the break for more.